Have you ever felt so compelled to accomplish a goal that nothing would stand in your way? Even if the whole world is against you? Something you were born to do? After watching the movie Earthlings (rent it here or watch the 19 minute short version for free on YouTube here ) , I had a change of heart and I realized that I was a speciesist. Behind Passion of the Christ, never has something so drastically changed the course of my life. I decided right then and there to change my life to help the animals. I began thinking of various ways that I could help the animals. I handed out copies of the movie Earthlings at all of the family events. I thought that all I had to do was to show people what was happening to the animals and everyone would stop eating meat, the factory farms would shut down, and life would go back to normal. After all.... I completely changed everything about who I was so everyone else had to do the same, right? I could not be more naive. From all external appearances, no one changed at all. Most people refused to watch the movie. For those who were willing to watch the movie, they only watched the beginning, could not take any more, and turned it off. Ignorance truly is bliss. I have never been more disappointed in my entire life. I didn’t know exactly what to do so I slept on it and prayed to God about it. One night, I talked to God and He brought to mind the most precious physical item I had; my modified sports car. This was a show car that I had won car shows with. Anything you can think of to modify a car with, this had it. I was even featured in a car magazine! I drove all the way up to Detroit multiple times to get the car tuned specifically for the supercharger since this supercharger had to be custom tuned to this car as a one of a kind fitment. It even had a custom carputer that allowed me to play Nintendo games like Super Mario or speak to the computer to tell it what to do with a keyword ("carputer, play music") and it would respond to my voice years before the feature became mainstream. Even though I was married, I joke with my wife that this was my true love; my baby. I wanted to keep her forever. But I knew that I couldn’t live with myself if I did not do everything in my power to help the animals. I knew that there were billions of animals screaming out my name behind closed factory farm doors, and I was not doing enough to help them. When I was thinking of this, God brought to mind one of my favorite movies; Schindler’s List. I was deeply inspired by Oskar Schindler. Oskar shakes the hand of the man who handed him the ring and Oskar weeps bitterly and says: “I could have got more out. I could have got more”. 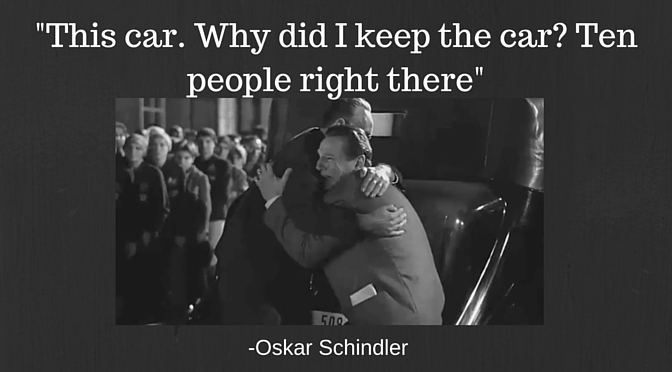 Oskar Schindler is filled with an unspeakable sense of deep regret. If only he had sold more of his possessions, he could have done so much more to help. Oskar Schindler was left with a terrible feeling in his stomach because he did not do everything within his power to help God’s children. “I didn’t do enough” is all he could think even though eleven hundred people were alive because of him. As he walks up to his car, he is filled with the regret for not having sold his car. “This car”, he says, “Why did I keep the car? Ten people right there”. Oskar realized that he could have saved the lives of ten of God’s children if only he had sold the car. 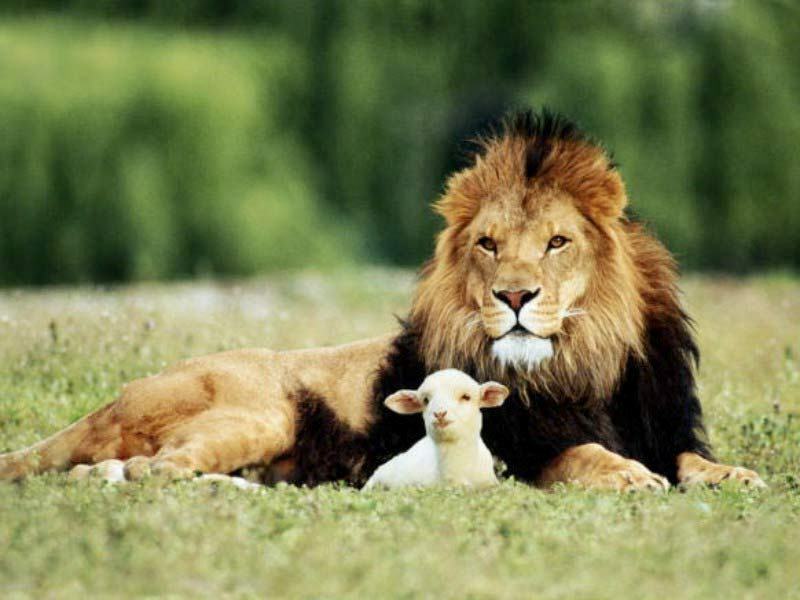 God brought this to my mind and it was crystal clear what I needed to do to be able to help the animals. My car was my most precious asset. My life revolved around this car. I had spent so much time and money on her that I didn’t really want to sell her, but I decided that I had to or else I would regret it every day for the rest of my life. So I began to create brochures advertising the car and discussing that the money from the sale of the car would go to New Harvest which was a non-profit working to help develop identical meat alternatives without the suffering involved of traditional meat production. In the brochure I had details about the devastating environmental impact of meat, the consequences to our health, and the sheer amount of suffering the animals experienced including the lack of laws protecting farm animals. I also talked about how New Harvest has the potential to do the environmental equivalent of taking every car, truck, train and plane off the road. I passed out a ton of brochures. I rode around putting brochures in mailboxes. I sent brochures with personalized letters to people who could make a difference; either financially or by lending a voice to the cause. I created a web site describing the car and when it came time, I listed my car on eBay for the auction. I am not going to lie, when it sold, I was really sad. I knew I was doing a good thing, but I wanted to keep it for myself. Deep down I knew that it did not belong to me; it belonged to God. This life is not about dying with the best toys, it’s about being in a relationship with God. It did feel good to give that money to New Harvest and to invest in the Kingdom of God. I figured that if I gave away the most precious thing to me, then surely people would see that there is more to this than meets the eye. Surely people would see that I am willing to give up everything for this cause and that I gain nothing from this. God is still working through me to change peoples minds and hearts. For the sake of the billions of animals in factory farms, I wish He would hurry up. The beautiful day I said bye to her. Never will I have to say, "I could have got more"